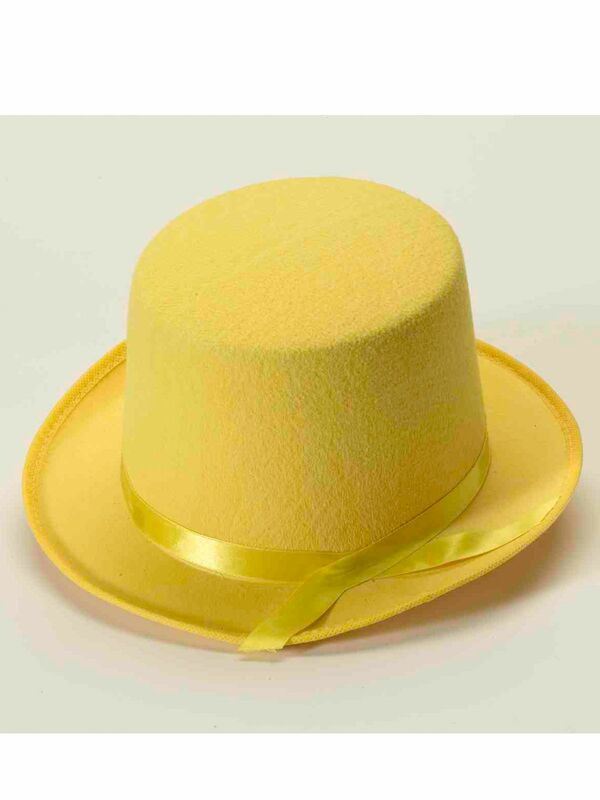 March in the Easter parade while wearing this fashionable Yellow Deluxe Top Hat. These traditional hats, nicknamed a topper, were popular in the U.S. in the 18th, 19th and early 20th century. They were worn by presidents at their inauguration ceremony. The last one to wear a top hat was John K. Kennedy. We've updated the classic style with a cheery color.